As Tracy Coenen reported last month, the federal government has joined local officials in piling the responsibility for balancing their budgets on the backs of smokers. With the feds now taking over $1 a pack for smokes, many U.S. smokers are paying more than $7 a pack. At those prices, many will be forced to make a hard choice; quit ... or grow their own. Yes, it is legal to grow your own tobacco, and while not easy, our nation has shown adeptness at growing other toke-able herbs, so tobacco should be feasible. In fact, (little-known fact) the first settlers in Midwest states like Ohio grew tobacco, because it was one of the few cash crops that could be transported on horseback to the markets of the East. 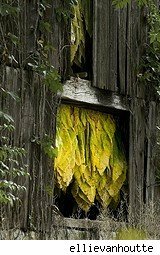 Each tobacco plant produces about half a pound of dried leaf, enough to make roughly a dozen packs of smokes. Even with the cost of seed and fertilizer, you should be able to bring this crop in for WAY less than $188 a pound (24 packs x $7 per pack). If you're worried about additives in your commercial butts, growing your own can provide some peace of mind. Of course, companies that sell tobacco seeds and information, like most gardening vendors, won't emphasize the work involved in sprouting, planting, feeding, tilling, and harvesting the crop. You'll need at least 60 warm days and nights to bring it to harvest. Plan on devoting 75 square feet of good soil to grow 50 plants. And the work doesn't end there. The leaf will need to be dried to reduce the 80% moisture content, then cured to rid it of malodorous ammonia. A simple curing chamber can be built for under $100. The main cost of growing your own, of course is time. Like any crop, tobacco takes attention and work. If you love to garden and smoke, growing your own tobacco might be a good option. On the other hand, if your garden typically looks like the dust bowl, you might be better off spending your money on nicotine patches.